The German lender is responding to the investment banking slowdown by slashing 3 bln euros off costs. But investors have to wait until September for the vital details. And Deutsche’s new co-CEOs have missed a chance to lift the bank’s capital buffers closer to those of its peers. Deutsche Bank on July 31 updated the market with preliminary details of the strategy review launched in early June by Anshu Jain and Juergen Fitschen, its co-chief executives. 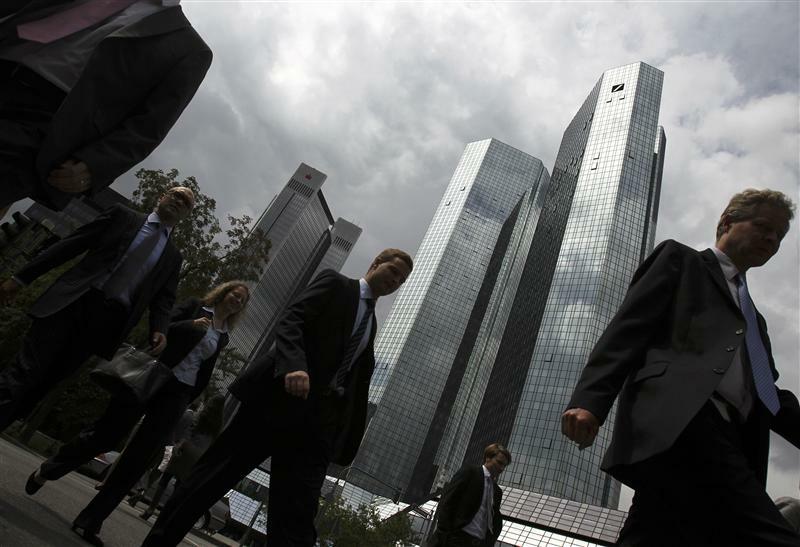 The German lender said it had identified 3 billion euros of cost savings compared to the first half run-rate. Around 350 million euros will come by cutting headcount by 1,900 people, including 1,500 in Deutsche’s investment banking arm. Deutsche said it had identified an extra 29 billion euros of risk-weighted asset reductions and capital building measures, to offset poor second-quarter business conditions. At the start of 2013 it expects its core Tier 1 capital ratio, assuming the full implementation of Basel III rules, to be 7.2 percent, rising to 8 percent at the end of the first quarter. Deutsche said no past or present members of the management board had any inappropriate involvement in interbank offered rates investigations. It added that a limited number of employees acting under their own initiative had engaged in contact that fell short of the bank’s standards, and that action had been taken accordingly. Earlier, Deutsche had announced profit before tax for the second quarter of 1 billion euros, down 44 percent year-on-year. Pre-tax return on equity was 7 percent, half of the 14 percent recorded in the second quarter of 2011. Net revenue of 8 billion euros was down 13 percent quarter-on-quarter and 6 percent year-on-year. Non-interest expenses rose 5 percent year-on-year but fell 6 percent quarter-on-quarter. In Deutsche’s Corporate Banking & Securities division, second-quarter pre-tax profit fell 63 percent to 357 million euros year-on-year and 79 percent compared to the first quarter, as total revenue fell 11 percent year-on-year and 32 percent quarter-on-quarter. Deutsche’s compensation ratio rose 2.9 percent year-on-year so that compensation represented 42.3 percent of net revenue. At 1500 GMT, Deutsche shares were broadly unchanged at 24.81 euros.